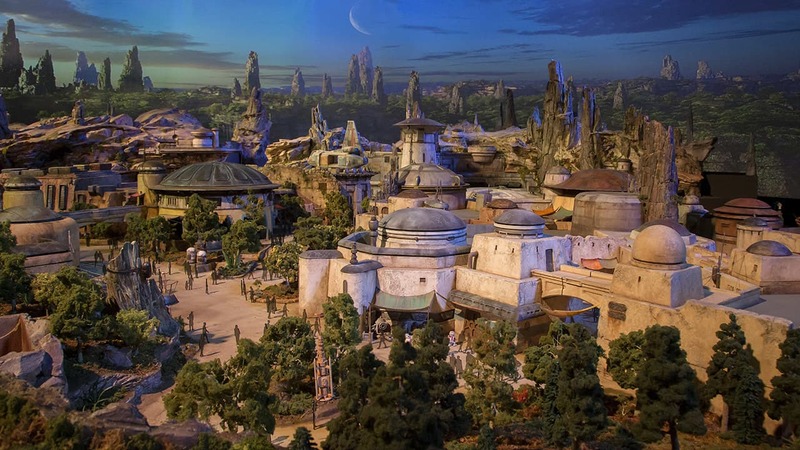 Tonight, at a special press preview event ahead of this weekend’s D23 Expo, Disney pulled back the curtain on its massive, impressively-detailed model of Star Wars Land… and the results are stunning, to say the least. 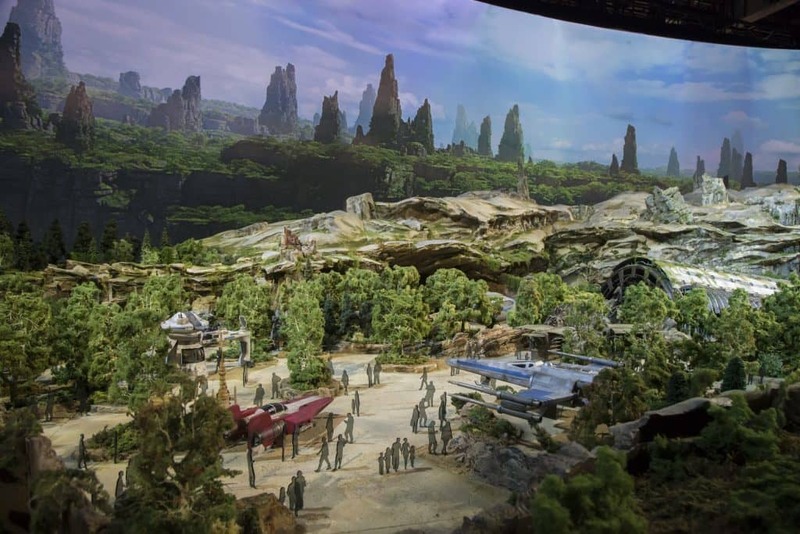 What makes the reveal all the more exciting is the simple fact that Disney, despite having shared several different pieces of concept artwork before, has never unveiled the full layout of the 14-acre area. 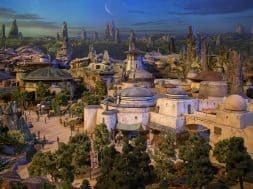 Now we have a fairly good idea of how Star Wars Land’s two E-ticket rides and all the rest of its attractions, from audio-animatronic-stocked eateries to character meet-‘n-greets to exotic street marketplaces, all connect to one another – if only we had all the experiences labeled for us on the “epic” model. 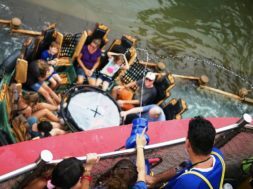 Even without a legend, however, we can already pick out a few of the area’s highlights. 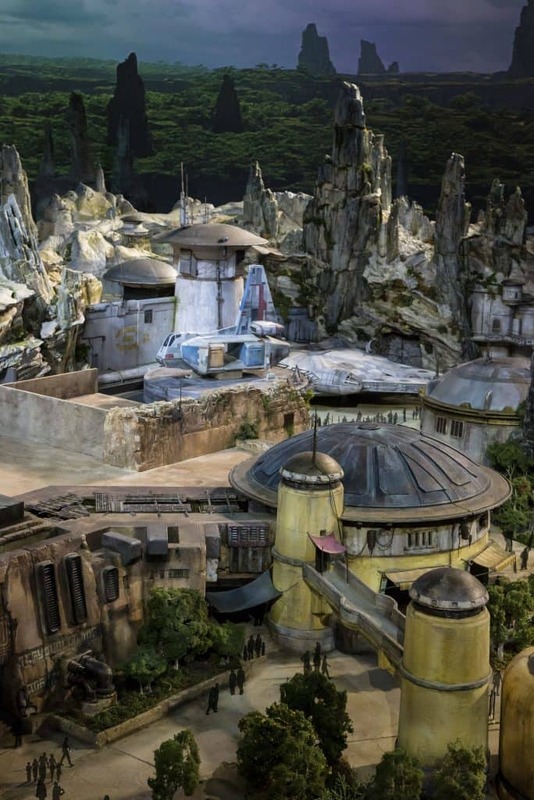 This area is easily identifiable as the ancient jungle compound that the Resistance, led by General Leia Organa, has secretly taken over on the still-unnamed planet that Star Wars Land takes place on. 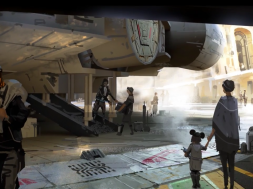 It has been speculated for quite some time that this will be the queue area for the land’s first attraction, which will have guests pilot the legendary Millennium Falcon on a “customized secret mission”; the ship herself can be seen parked off towards the middle of the model, at a spaceport that will also hold special significance for guests and Star Wars Land’s overarching narrative. 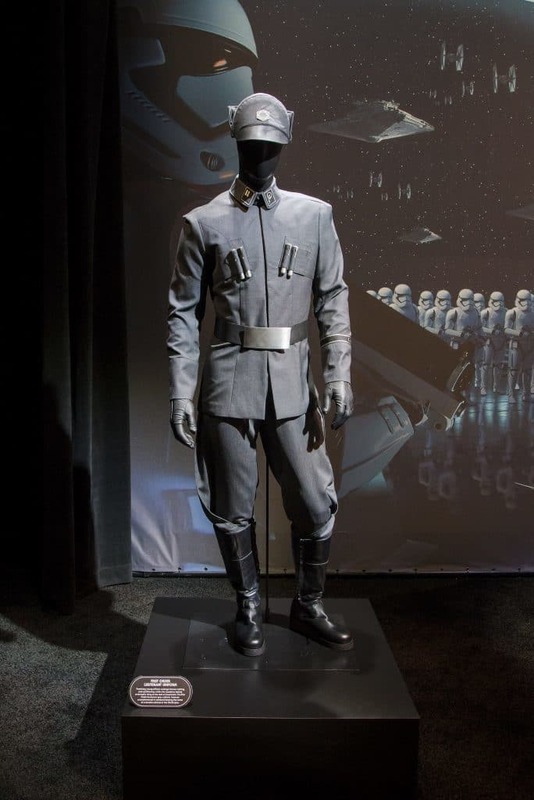 It is here that the First Order, the neo-Imperial faction headed by the secretive Supreme Leader Snoke, has made its temporary headquarters on the planet – and it is here that the land’s second ride, a “battle chase” that has guests get swept up in the middle of a skirmish between the First Order and the Resistance, will be located. 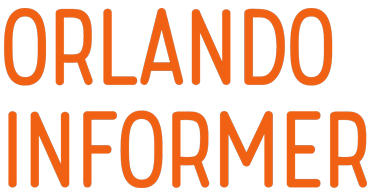 Although we didn’t receive an official name for this attraction tonight at the preview (this will more than likely come during D23 proper), we did manage to get its ride vehicle revealed. 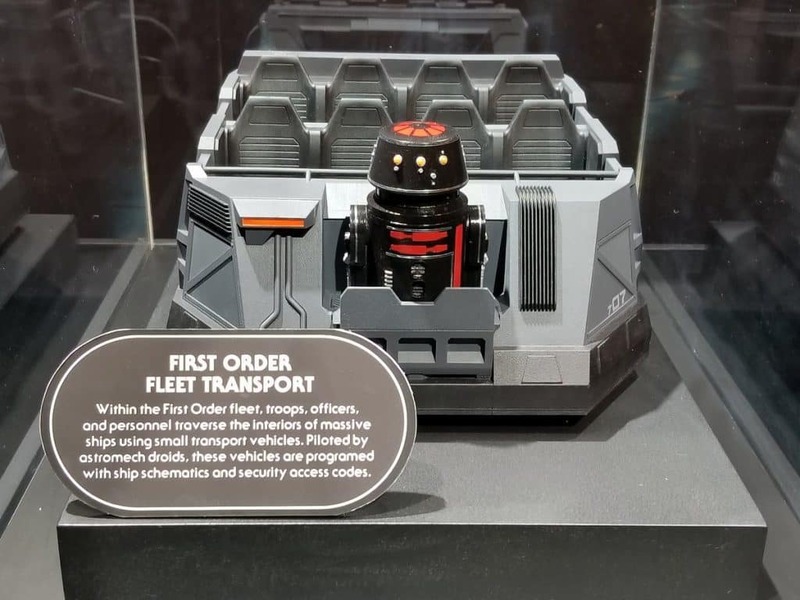 Within the First Order fleet, troops, officers, and personnel traverse the interiors of massive ships using small transport vehicles. 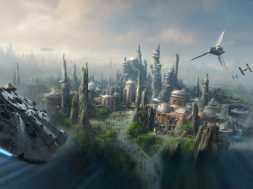 Piloted by astromech droids, these vehicles are programed with ship schematics and security access codes. 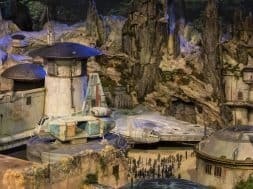 The Star Wars Land model and all of its accompanying artwork and displays are housed in a pavilion officially dubbed A Galaxy of Stories, which will be open for the entirety of D23 Expo, from Friday morning to Sunday night. 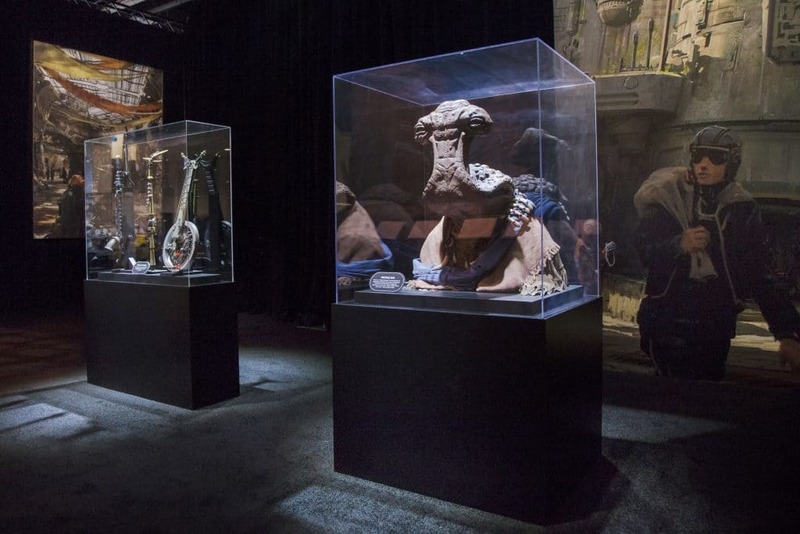 It’s clear that Disney, taking a page out of John Hammond’s book, has spared no expense in bringing the mini-exhibit to life. 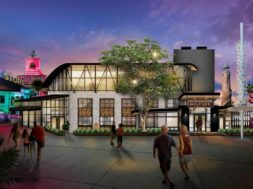 previous The Great Movie Ride closing soon at Disney's Hollywood Studios? 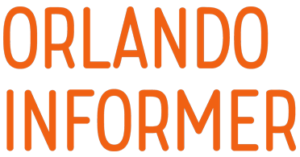 next Star Wars Land’s secret interactivity revealed?